I enjoy cooking but I also enjoy my time with my little doggie Ginger. She’s a bit of a picky eater because she is super spoiled! 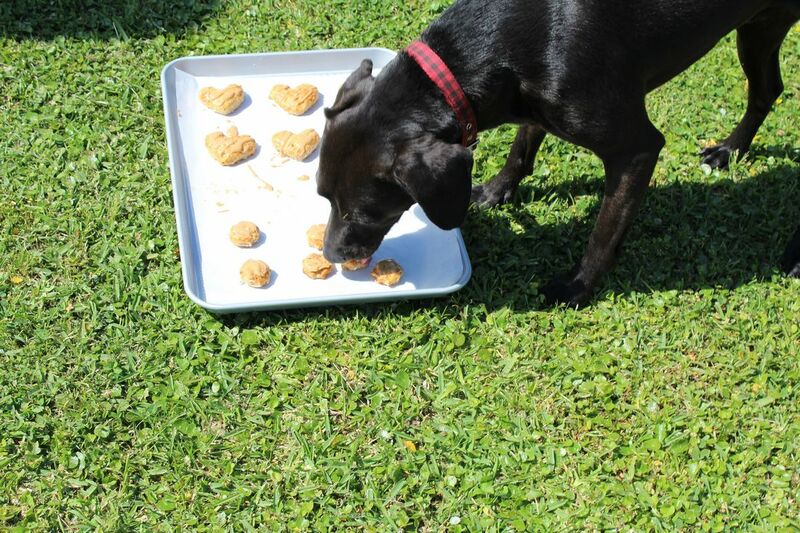 I still wanted to share with you some Banana Biscuit Dog Treats I made. 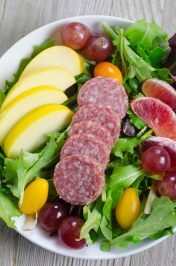 It’s a whole lot of fun making goodies for your dog and even the neighbor’s dog. Remember to always consult with the owner first as some doggies just like humans have allergies and certain dietary needs. Hoping that you all enjoy these dog treats for your pooches. 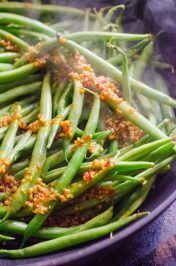 I have been thinking about making a few more of these recipes. If you interested let me know in the comments. Maybe there is something specific your looking for? Bananas, peanut butter, yogurt frozen treats? The sky is the limit! You can make these treats in any shape you want. That’s all up to you. I used heart but as you can see above you can do paws or bone shapes. Whatever you fancy or what you think your dog would fancy. A french or regular roll pin with work with these Banana Biscuit Dogs treats. Either way they will help roll out the dough. Additionally, you can also use a cold wine bottle if you don’t have a rolling pin. They make for great make shift rolling pins in a jiffy. We hope your pooch loves these as much as Duke did! The recipe is just below or save it for later by pinning it. Preheat oven to 350 degrees . Line a baking sheet with parchment paper and set aside. 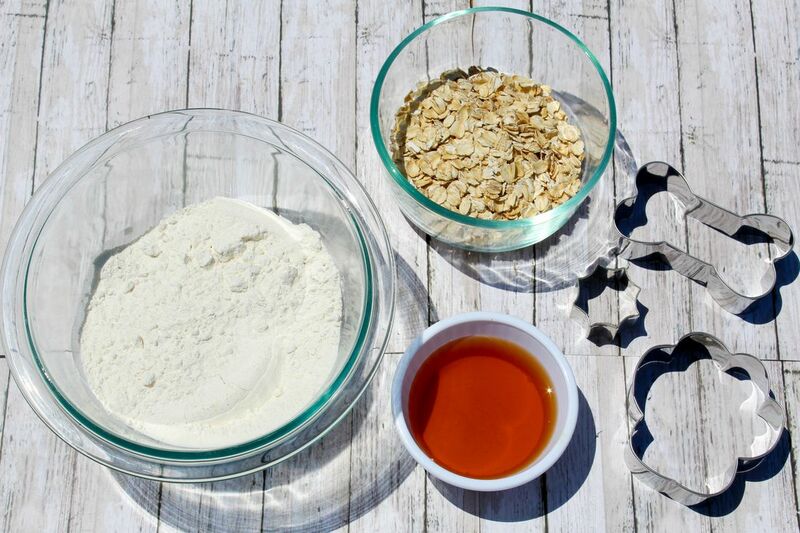 In a medium bowl, combine banana flavored baby food, honey, flour, and old fashioned oats. 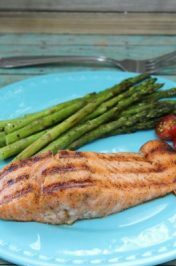 Use a mixing spatula to combine all the ingredients together. Using the extra flour you have reserved lightly flour a flat work area. Place the dough on the lightly floured surface and knead dough together. 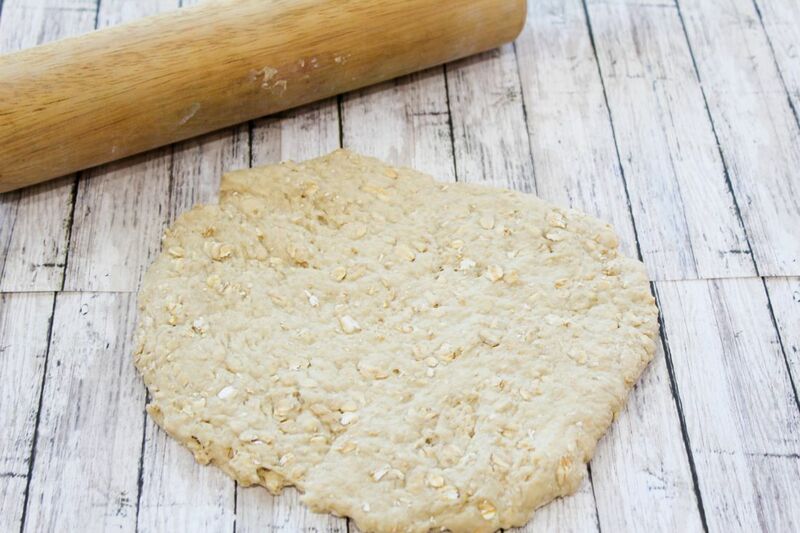 Roll dough to a thickness of about 1/4 to 1/2-inch, using a lightly floured rolling pin. Use desired cookie cutters to cut out shapes, dip cookie cutters into the flour before cutting out the desired shapes. Use similar sized shapes to ensure even baking. Place cutouts on the baking sheet and brush the tops of each treat with the beaten egg. Bake for 25 minutes until doggie biscuits are golden brown. Remove the treats from the oven and let cool. Melt the peanut butter for 30 seconds in the microwave. 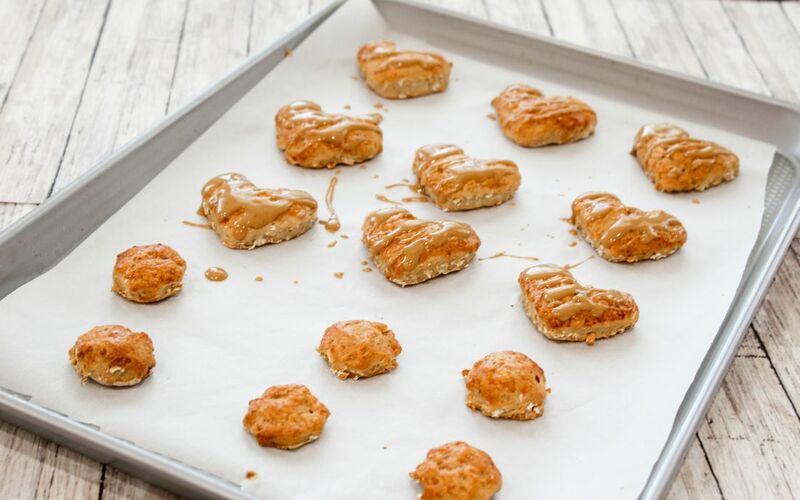 Stir the melted peanut and drizzle onto each treat. 6. Serve to your favorite doggie! Aw Ginger is so spoiled! It’s great you pay so much attention to quality food for her though. 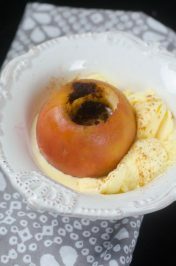 Seems like a lovely recipe and even better- we have most of the ingredients around the kitchen already. 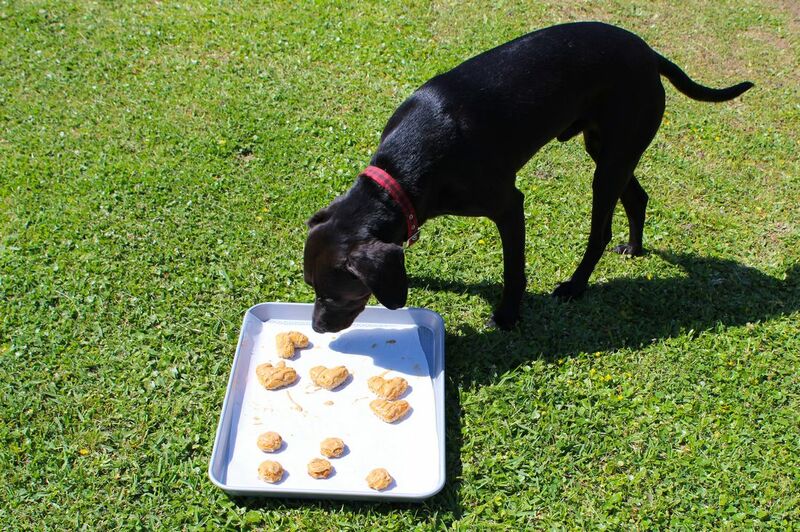 What a really good and creative idea to make your own dog treats! The recipe looks really quick and easy too. Great job indeed! Ginger is so adorable. I love making homemade treat for my baby. It seem really special for both of us. I will try you recipe very soon. My dog would love these and they are so much more cost effective than buying those fancy dog treats at the dog boutique! Wow such a lucky pup! I wish I have time to bake treats for our pups, but luckily they are trained to be not (too) spoiled, by my Mom. But Moms buy they more biscuits than us, huhu. These look so easy to make. I have two dogs and have never tried making their treats. I may give this a go. I am going to have to try this with my dog. He can be a little picky though, but if he likes it I will let you know! Thanks for this!